I would say that fall is in the air, but it has been in the high 90’s here for a week now! So needless to say it is kind of hard to pull out the pumpkins, mums and fall decor just yet. I just want to go back to the beach! 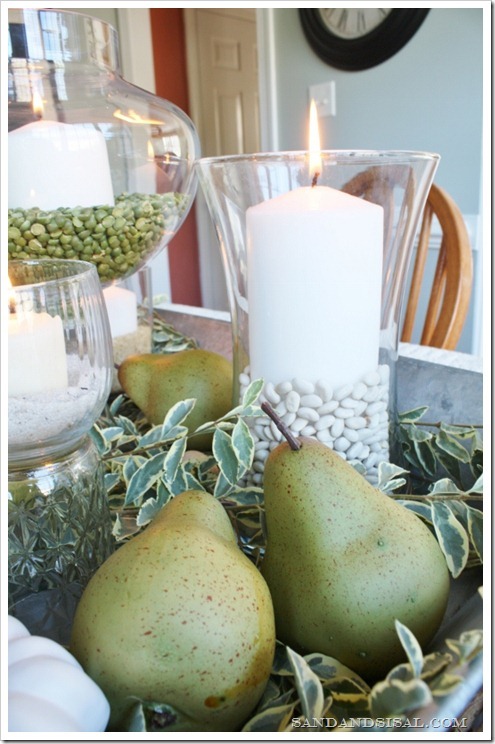 Because I live in the coastal south we tend to ease into fall rather softly, but I like to add a few transitional late summer/early fall decor items. 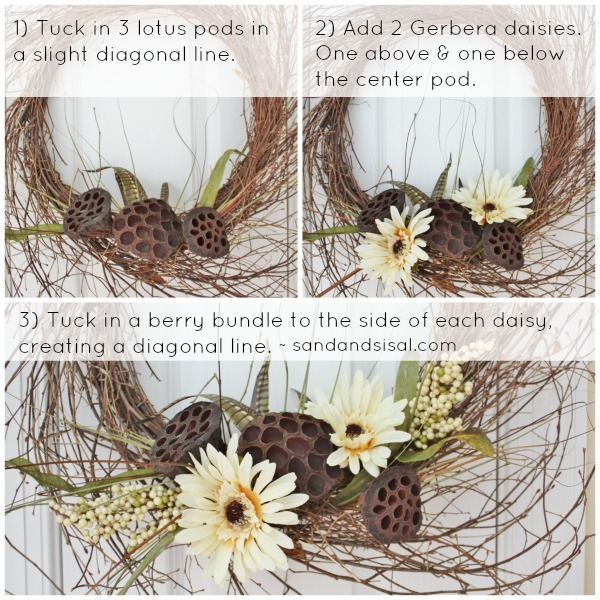 Today I want to show you how to make a super easy Early Fall Wreath that you can use either indoors or out. In addition to the wreath tutorial today, I’ve teamed up with 12 other blog friends to bring you our annual Autumn Abounds Blog Hop and tomorrow we will all be hosting a fall linky party AND a nice CASH GIVEAWAY for all our readers! Don’t you want some cash to spend for your fall decorating? Woo hoo! Ok, let’s get to some Early Fall Wreath making! We’re going with greens, buttery creams, and browns for a color palette. 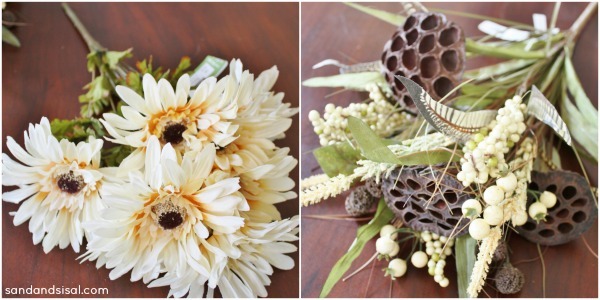 Step 1) Take your 2 floral bunches and use your wire cutters to cut the bunches apart. Separate the bunches into like piles. 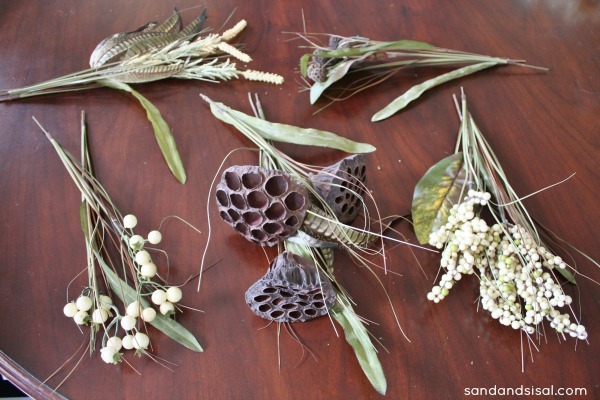 Now add in any extra natural elements from your floral bunch, like these dried seed pods and extra beach grass stems. Click on any of the links below to view all the autumn goodness and be sure so come back tomorrow for the fall themed link party and CASH giveaway! Thank you Heather! Sounds like a plan! 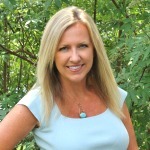 Kim, I’m so loving your soft costal take on fall! Just breathtaking! And thanks for the super detailed tutorial. It’s the perfect mix of early fall for a beach girl!!! What fun to party with you!!! Pinning and featuring you on FB. Lovely and perfect as we ease into fall! Pinned and sharing via FB. Hope you have a wonderful fall! Oh how beautiful Kim! 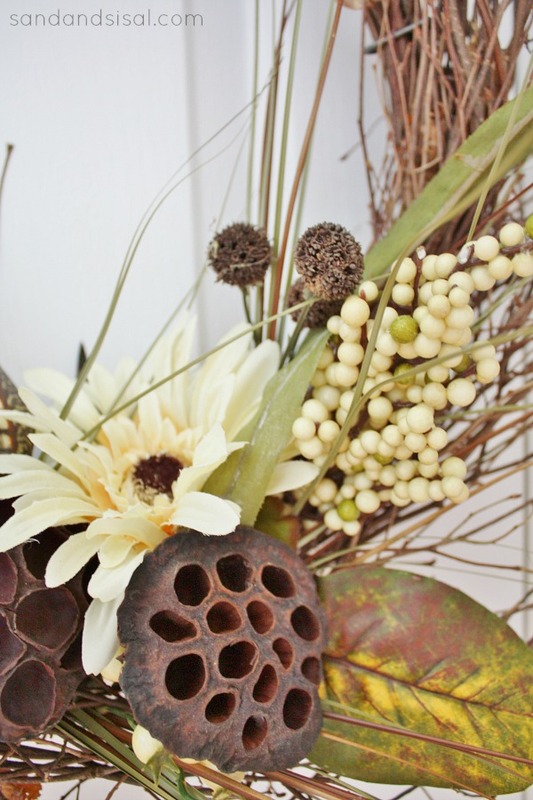 I love Fall, and wreaths are one of my favorite things to make. Yours is gorgeous. 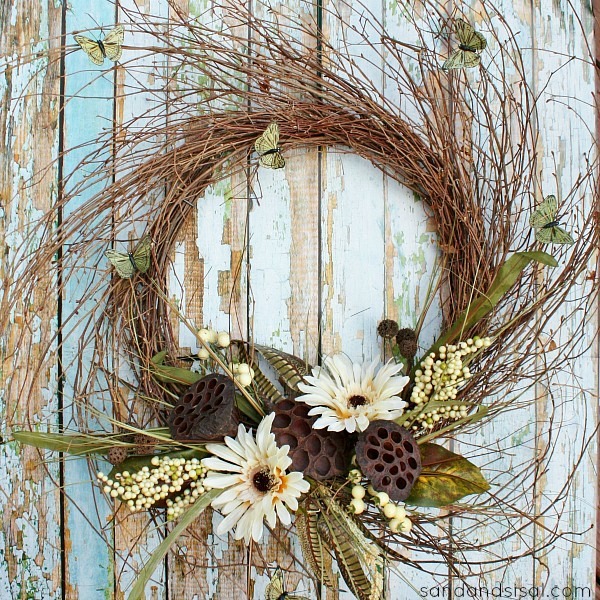 Oh, I love the wispiness of this wreath. 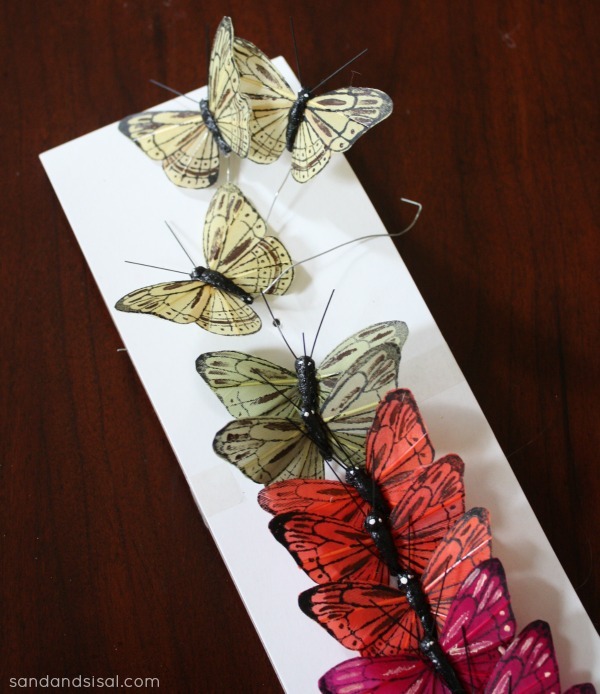 It’s so delicate looking and I love the addition of the butterflies. Pinned it! 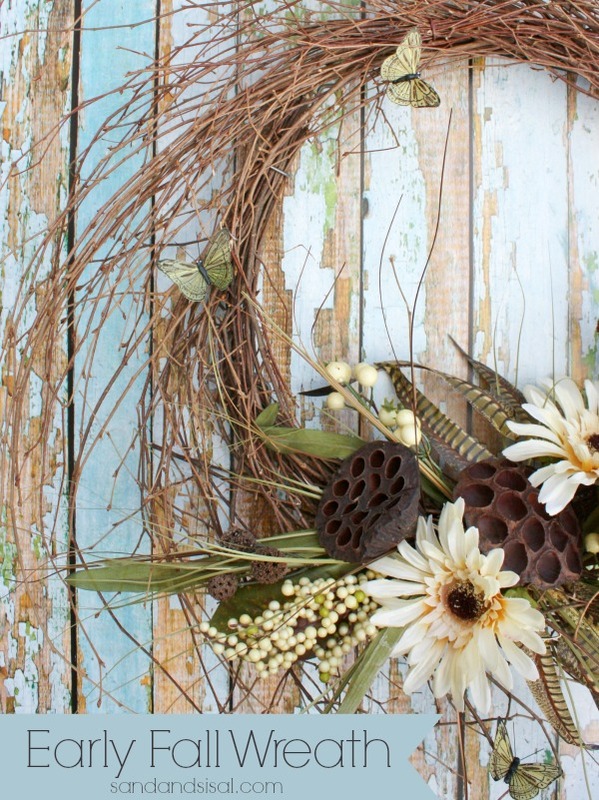 I am in love with this gorgeous Fall Wreath! It’s so lovely! Kim this is GORGEOUS!!! So simple and yet just so beautiful. Well done girl! Kim this is gorgeous! I just made my Fall wreath for our Fall tour on Monday, I used the same colors! Maybe it’s because I wasn’t quite ready to welcome traditional fall colors when its 95 degrees outside! This is gorgeous! Pinning and sharing…have a great weekend! Ha! Exactly! Thank you! I’ll have to go and check out your fall tour! Have a wonderful weekend too! 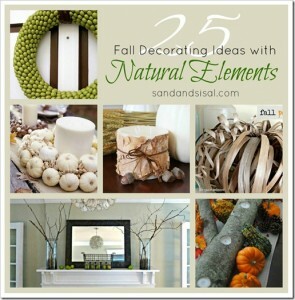 Love the fall wreath idea. 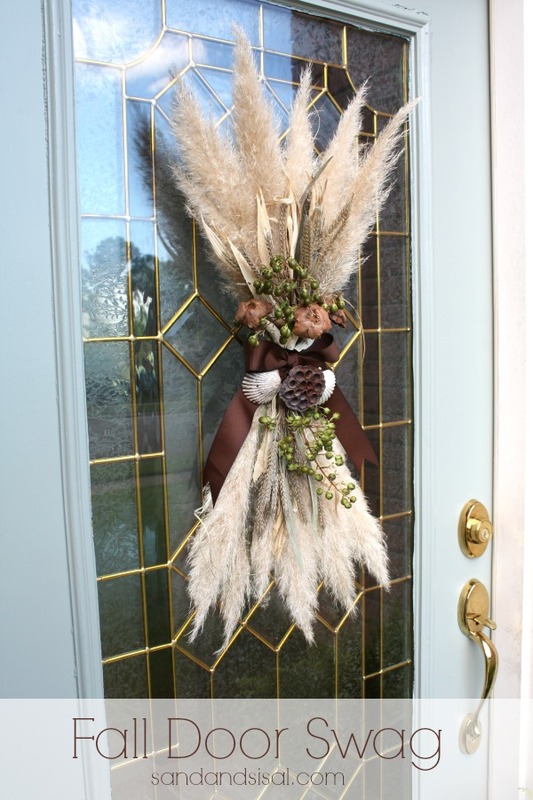 It’s not your typical door decoration. I love that you added the butterflies. What a great touch! Love that wreath, Kim! It’s beautiful! That’s the perfect early fall wreath Kim! Yep… it’s just been TOO hot to drag out the pumpkins!